Giving children all over the world universal spiritual tools to help them realize their potential and deepen their sense of purpose in life. The challenge: To help the organization grow locally and become integrated into the school system in New York. My role & approach: I spearheaded the design work for New York. I worked on figuring out intuitive ways to approach and educate volunteers, donors and prospects. Having experienced the program first hand prior to joining was crucial in being able to share its impact. While also working with our international teams to understand their design needs. Initially we worked with after-school programs in Manhattan, Queens, Brooklyn, and the Bronx, ultimately getting into the school system. I worked with our global team, working with Magento Inc. developing a student database so that we could collect quantitative and qualitative data to help measure our students success. The impact: We were able to achieve our big goal of entering the education system in various countries. Giving kids and teens skills that weren’t being focused on in most schools around the world. This not only impacted the students, but also their families. A study was done by the RAND corporation that shows the positive impact that SFK has on it’s students over similar programs. 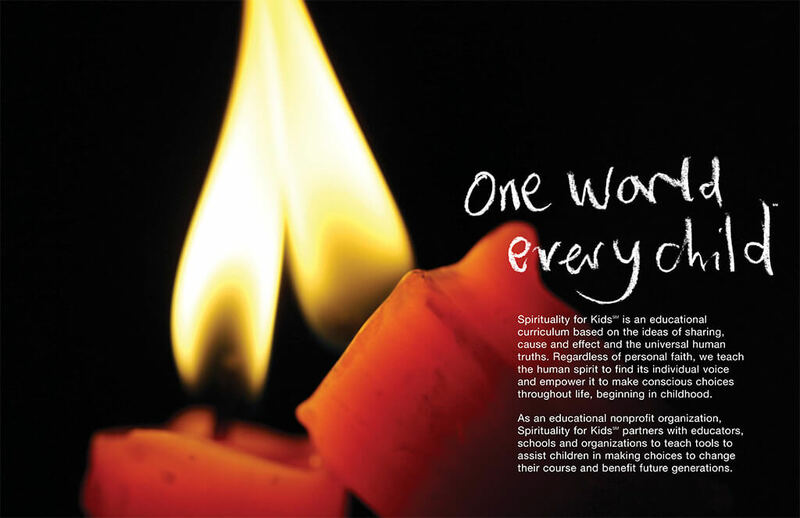 Image Caption: Spirituality for Kids brochure, "One world. Every Child." 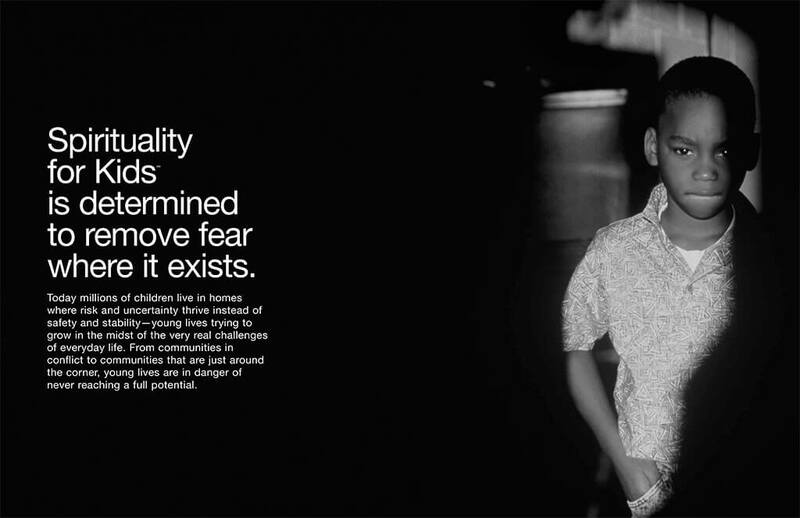 Image Caption: Spirituality for Kids brochure, "Spirituality for Kids is determined to remove fear where it exists." 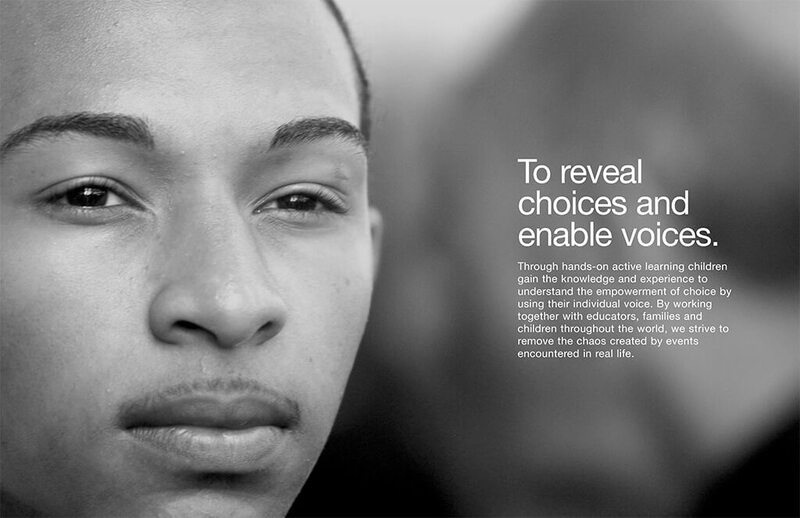 Image Caption: Spirituality for Kids brochure, "To reveal choices and enable voices." Image Caption: Spirituality for Kids brochure, "To inspire courage where there is none." Image Caption: Spirituality for Kids brochure, "To break the cycle of despair, addiction, abuse and violence." 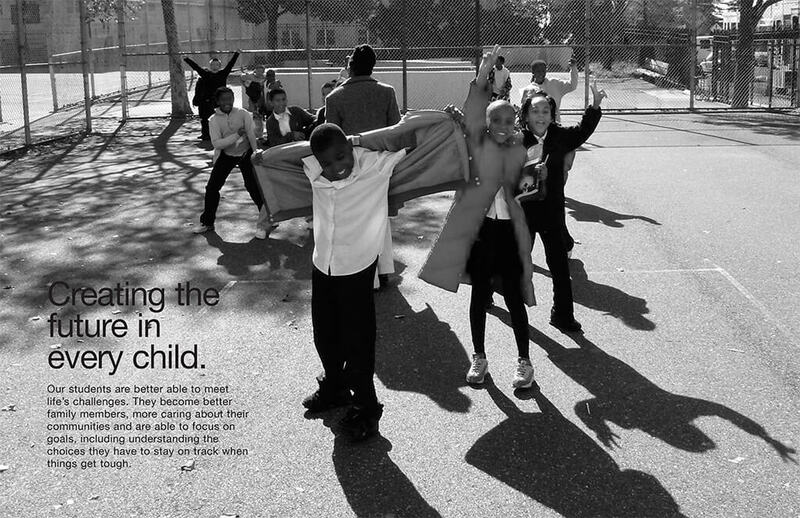 Image Caption: Spirituality for Kids brochure, "Creating the future in every child."